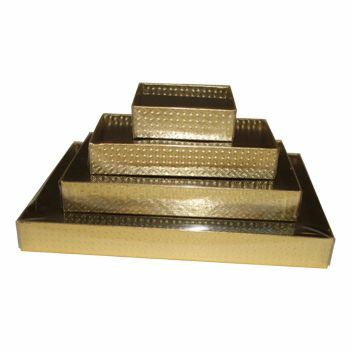 With an appealing and almost alluring delicacy, these jewelry boxes are perfectly fit for the feminine taste. 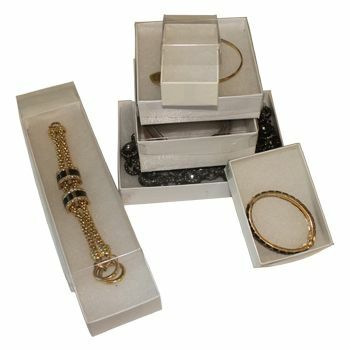 Because of the strong exterior, you can easily boast your brand name and image on these boxes to keep your ladies hooked to your exceptional jewelry boxes. 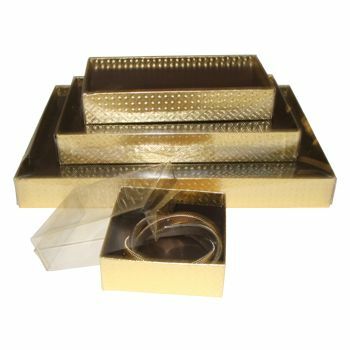 8 X 2 X 0.87"
These Jewelry Boxes are specially designed keeping in view the delicacy and fragility of delicate jewelry pieces. 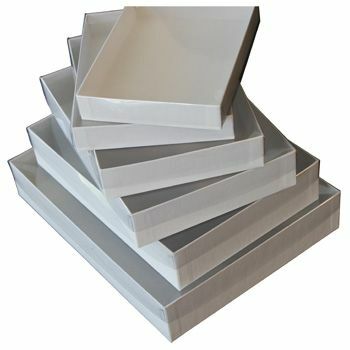 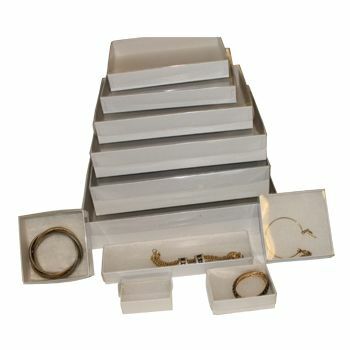 Made with white rigid board, the boxes are lined with the special jeweler's cotton that will prevent tarnishing. 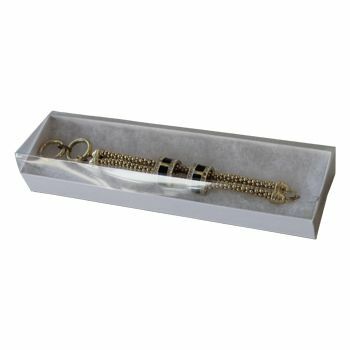 High quality clear vinyl lids keep the jewelry safe from air and moisture. 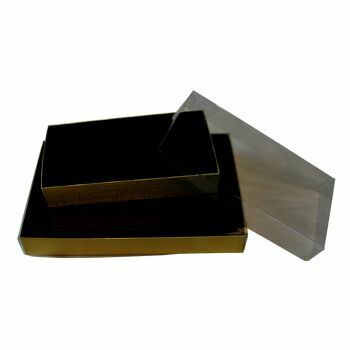 They are available in variety of different sizes so, you are sure to find a size perfect for your designer piece. 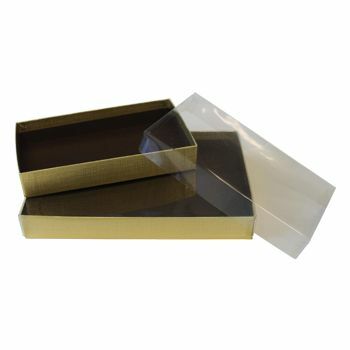 Do not worry, if you cannot find your required size in our ready to buy collection, we can customize it for you. 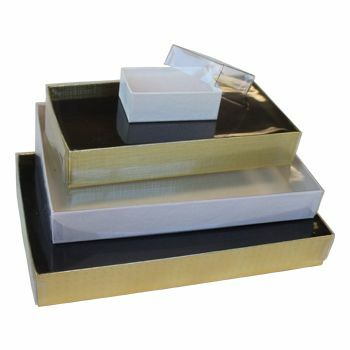 These jewelry boxes are available in two colors: White swirl and gold linen foil and in variety of different sizes.